° Great opportunity to lease in the Oak Lawn area! 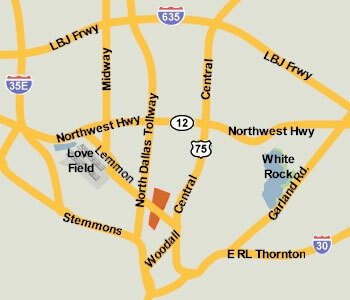 Minutes from Downtown, Uptown and the Park Cities. Hardwood floors, lots of charm and character. Well maintained with tons of outdoor space. One covered carport spot and street parking available. Upstairs unit of a duplex. ° Additional Info: Pets allowed limit 2, unfurnished, available now, 1 covered parking space(s), 1 fireplace(s), Dallas ISD. ° Lower duplex, great location, spacious rooms throughout, enclosed garage for one car, pretty yard, hardwood throughout, updated kitchen and bath, large room sizes, very large lot private. No dogs over 40 pounds, one dog, cats ok pet deposit is variable. STacked washer dryer provided. Lots of cabinents in kitchen. Large patio balcony. Freshly painted white ,white trim, lots of closets, ready for move in now.Great property great price great location. ° Beautiful remodeled duplex in great area. Upstairs unit has a nice balcony. Both units have a private fenced backyard area. New stainless steel appliances. ° Upper floor of duplex in much desired neighborhood adjacent to Highland Park. Great natural light,gleaming hardwood floors,designer carpet,fireplace,window treatments & abundant closet space with spacious rooms make this feel like a single family home. Second floor has stairs to fenced back yard which make it ideal for an energetic dog (no breed or size restrictions). Lease includes covered parking,washer-dryer,wine fridge & full size fridge. ° Additional Info: Pets allowed limit 2, unfurnished, W/D connections incl., available 5/5, 1 covered parking space(s), 1 fireplace(s), Dallas ISD. ° LIVE IN LUXURY! 2016 NEW CONSTRUCTION HALF DUPLEX WITH ALL THE UPGRADES. CUSTOM CABINETS, NATURAL HARDWOOD FLOORS, BEAUTIFUL TILE, QUARTZ COUNTER TOPS, 2 INCH BLINDS THROUGHOUT, LUXURY APPLIANCE PACKAGE! THIS UNIT HAS IT ALL! LIVING, DINING AND KITCHEN ON ENTRY LEVEL. PRIVATE FENCED FRONT AND BACKYARD WITH BEAUTIFUL LANDSCAPING! AMAZING LOCATION MINUTES FROM HOSPITAL DISTRICT, UPTOWN AND DOWNTOWN. UP COMING NEIGHBORHOOD IN THE HEART OF THE CITY. MOVE IN READY! ° Rare find!! One story single family attached home in the heart of the Turtle Creek area with private 2 car attached garage and a gated backyard. Remodeled in 2017, three bedrooms with versatile floorplan. Twelve foot ceilings and LED lighting throughout. Open kitchen overlooks the living area that has a fireplace and walls of windows. Kitchen has a Wolf oven , Viking cook top and Miele dishwasher. There is a flagstone patio off of the master. Luxurious master bath has separate shower, Jacuzzi tub, double sinks and walk-in closet. Full size utility.